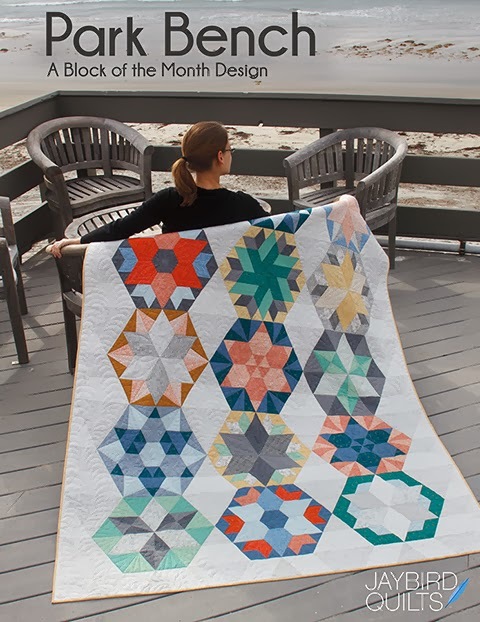 Join us in the Toes in the Sand - Quilt Along! 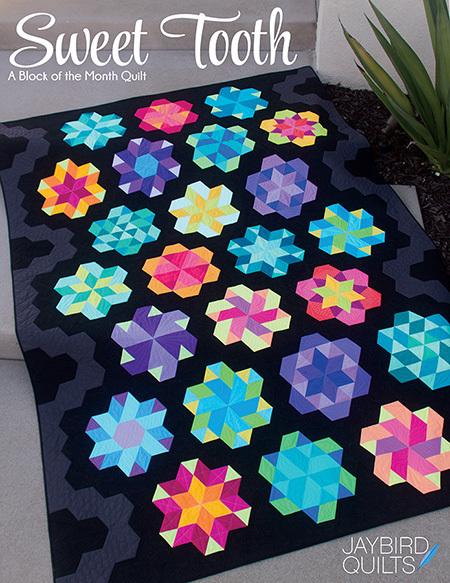 Make 2 blocks each month and you'll have all 24 that you need for a twin size quilt at the end of 12 months. Work at your own pace. I've created a Flickr group where we can all share photos of our blocks. 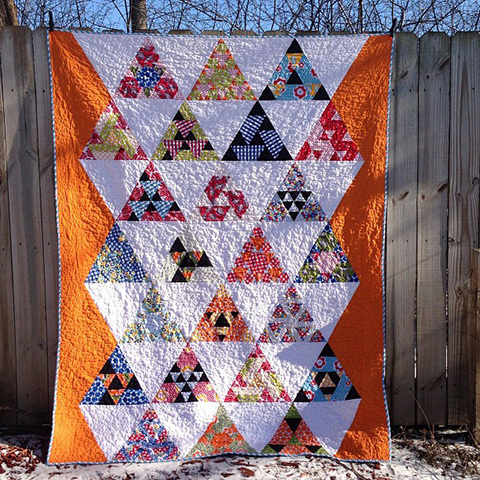 Karrie Lyne made this bright version using Treasures & Tidbits by Piece O' Cake Designs for Robert Kaufman. 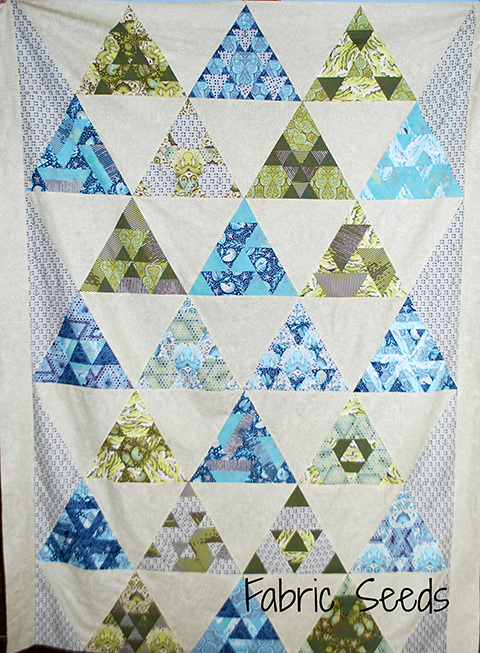 Sarah made this one using Salt Water by Tula Pink for Freespirit. You can find a list of participating shops here. 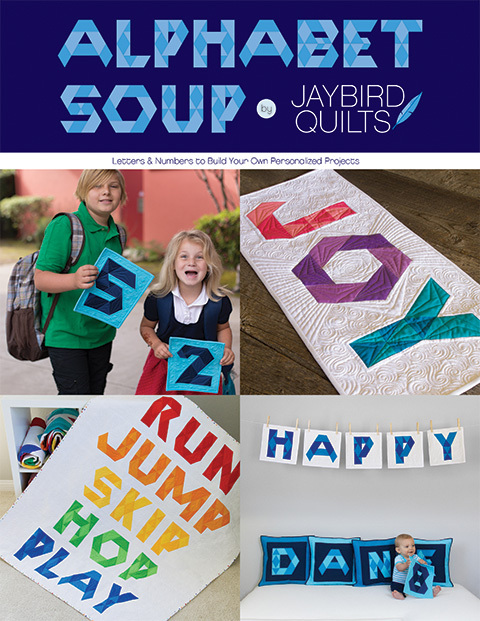 Sign up at a local shop, an online shop, or just join us in the quilt a long and make your very own Toes in the Sand! The link for participating shops is not working. Could you resend that info please? 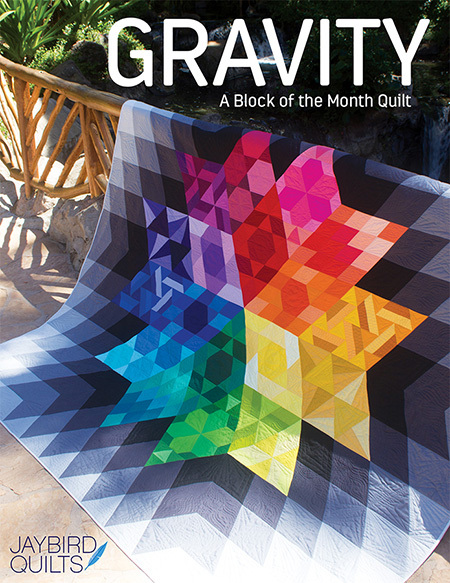 I ordered this pattern a few days ago and I can't wait to start working on it. This will be out of the box for me but I could not resist this pattern. I've been following your blog for a long time and perhaps like a lot of followers, I feel like I know you a little bit. Anyhow, I thought I would share something that happened last night. 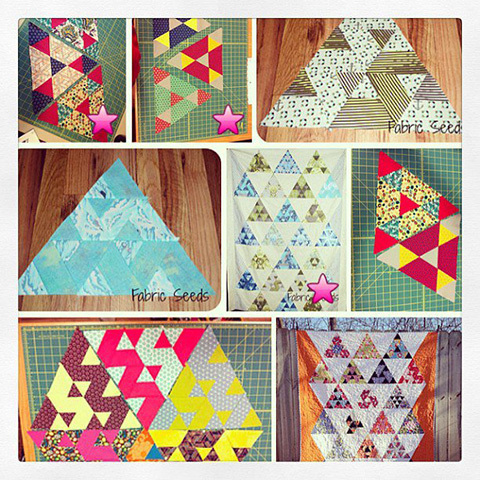 It was quilt guild night. I've been a member for under a year. Finally, I managed a visit to the guild's library. There are so many things to see and people to talk to at the meetings and the library is a bit out of the way. I was just shocked to see how many books there were - probably 400! I only had a few minutes to look but guess what I found? Your "skip the borders" book. I exclaimed what a recent book this was and another lady said, "are you going to borrow that?" I said, that I was actually looking for something about postage stamp quilts and with that she grabbed your book and ran off. ha ha. If your book is here in Orleans, Ontario, Canada, think where else it might be! All your babies having all these experiences. Ok, I can't stand to be left behind I will have to stash diving and start the QAL....lol! 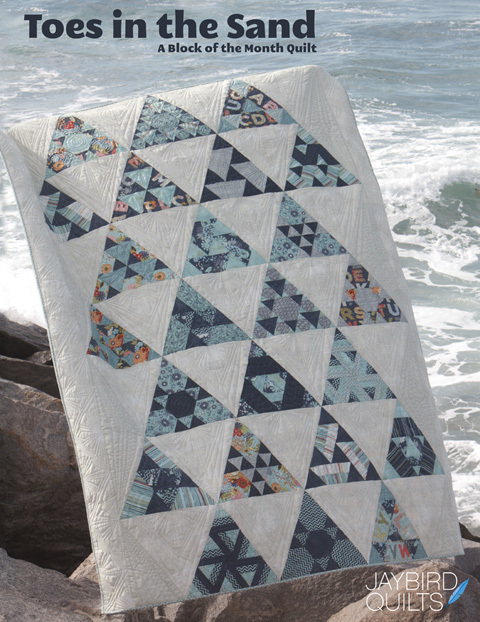 Love the Salt Water blanket! What a great use for that fabric!!! I'd love to do this...do I need your hex-y ruler? Still wishing there was a "like" button! Hooray! I just got your book and ruler! Now to pick my fabric.....! 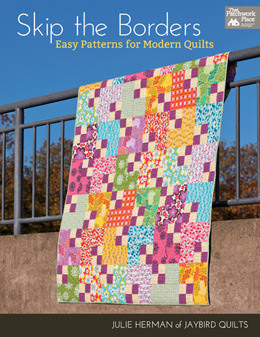 I signed up through FQ shop :) Looking forward to it! I just received my book, rulers and first months block last week, can't wait to start it. I am so excited about this pattern that I accidentally signed up for it twice. Then I was going to look for something in my quilt cave and ran across a bundle of batik fat 1/8 and one of oranges and creams. So in total I am doing 4 of these babies. I am keeping all the extras I cut out of my strips and will use them as a border down the back. If I can figure out posting pictures I will.